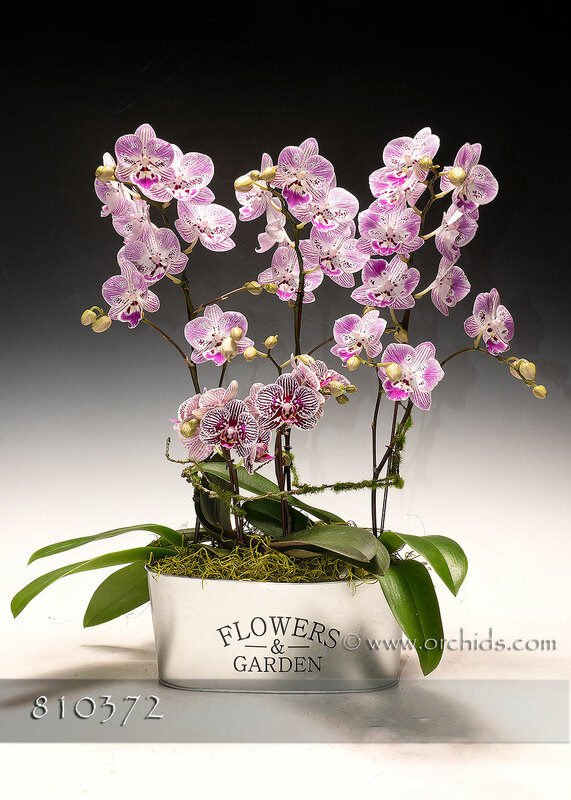 Our newest Phalaenopsis is more than enough reason for a confetti parade of celebration ! Vivid rose-burgundy spotted flowers reminiscent of showers of confetti, gracefully borne on a compact spikes standing 14-18" tall, create the perfect way to celebrate any joyous occasion. Tucked into our new classic cachepot, this Gift will be finished with soft jade Spanish moss. A celebration that can last for weeks, this Gift comes complete with care instructions.